Pink is a kind of color that you should definitely choose when you want your wedding to be both elegant and classic girly. Pink can be used alone or incorporated with other wedding colors to achieve a lot of different looks and styles. Combined it with grey, black , navy blue so as to make your pink more feminine look and formal. Today we are going to share with you five most popular pink wedding color palette ideas. 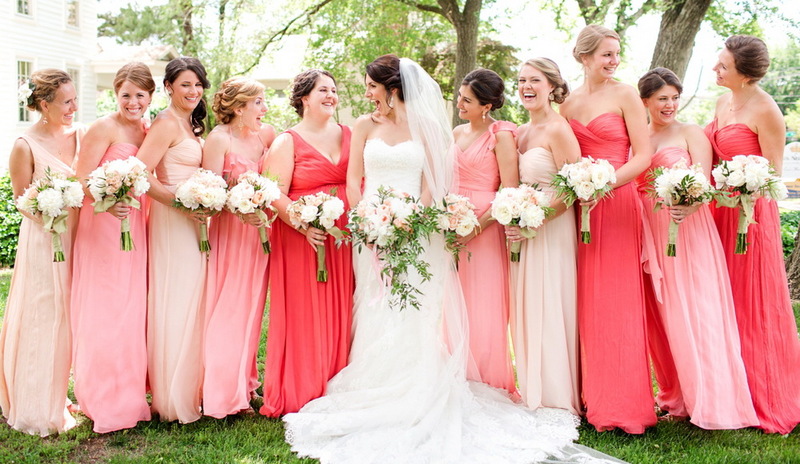 You can also find several gorgeous pink bridesmaid dresses to match your lovely pink weddings.